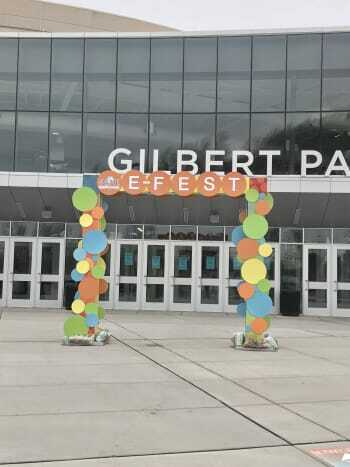 The American Society of Mechanical Engineers held their E-Fest North engineering festival last weekend at Michigan State University in East Lansing, Michigan. This year's Student Design Competition was titled The Pick and Place Race, inviting college students from all over the world to build robots and compete for glory. 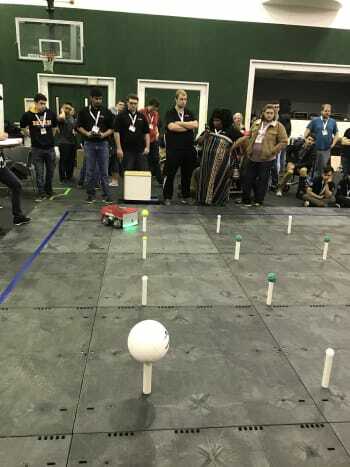 Forty four teams from the United States, Puerto Rico, Mexico and Taiwan competed between Friday April 5 and Sunday April 7. A 5 meter square surface held sixteen balls placed on pvc tubes, with the balls varying in size and mass from ping pong ball to basketball. Student devices were required to move to the balls and control their position until getting back to the home bases in the corners of the field and delivering the balls. 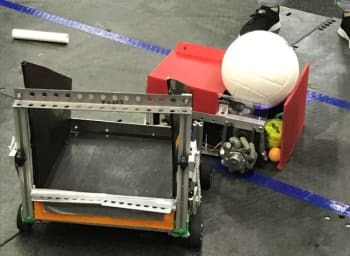 Penalties were assessed against balls that dropped on the surface of the field and balls that were not delivered into the home base of the robots. Five minute rounds were allowed for robots to complete the tasks but most rounds ended well before the three hundred second mark. After solo runs on Friday and head to head matches on Saturday morning the elimination rounds started with 32 teams in bracketed play. Finals were held on Sunday morning and as East Lansing recovered from a painful Final Four men's basketball loss the night before, the Student Design Competition's Final Four consisted of the University of Cincinnati, Instituto Tecnologico de Cuidad Juarez, University of Florida and Taiwan National Tsing Hua University. Carrying on a tradition of winning from last year's E-Fest and then the IMECE world finals, a team from the University of Florida claimed victory for the 2019 contest. Beyond the Student Design Competition, collegiate teams competed in the Human Powered Vehicle Challenge, the Old Guard Oral Presentation Competition and the Old Guard Technical Poster Competition. This was also the first year for the IAM3D Challenge to be a build-and-compete affair instead of a project that students presented. E-Fests are always great opportunities for my students to network with other engineering programs and use competition projects as learning tools. Minimal guidelines are given for the construction of the robots so no two machines are the same and seeing the different materials, mechanisms, programming and electronics that other teams use is valuable to show the different paths several designs can take when given the same constraints. E-Fest South America will take place August 8-10 at Pontificia Universidad Catolica del Peru in Lima, Peru.